It's a custom backgammon set designed for a special backgammon lover. 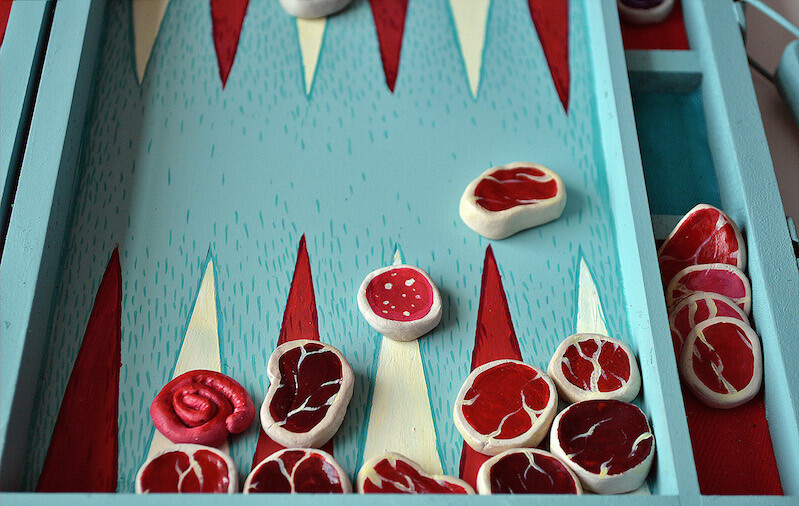 The ancient board game got its name from words 'back' and 'game', but I found it very amusing that it clearly has a word 'gammon' in it, which is a cured leg of pork. Browsing through existing sets on the internet didn't give me any results that would address that funny fact, so I decided to fill that gap in the handmade board game market.